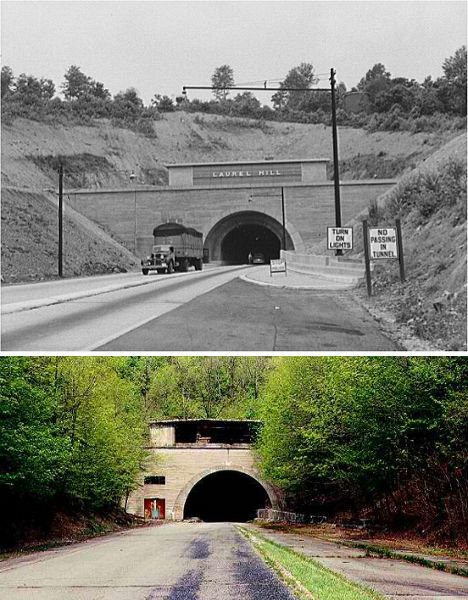 Locals in the area of Donegal, Pennsylvania would often scratch their heads at the reverberating sounds of roaring car engines and squealing tires seeming to come from beneath a nearby mountain in 2003. 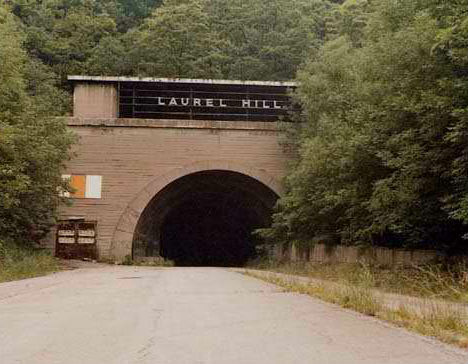 Hidden just under a layer of earth and trees was the Laurel Hill Tunnel, a former part of the state turnpike system, but it had lain abandoned since 1964. Then, people started seeing NASCAR haulers, equipment and supplies coming through the area. Was there a connection? Sure enough, there are cars tearing through that tunnel at top speeds, but it isn’t some kind of secret underground theme park for race car drivers. It’s a test site for the study of aerodynamics. 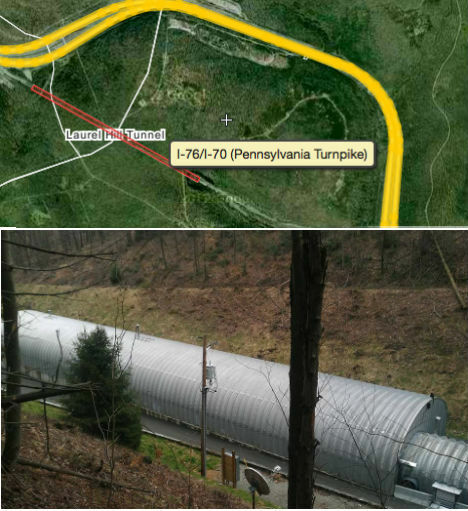 Hikers investigating the site found that the tunnel has a new, tubular steel entrance with dual garage openings, and discovered discarded barrels of motor racing fuel of the sort used by NASCAR. But for years, the suspected users of the site wouldn’t acknowledge its existence. Only in recent months has the Chip Ganassi Racing team been willing to confirm the rumors that have been swirling since 2004, and explained a little more about the purpose of the tunnel. Team leader Ben Bowlby told Racecar Engineering Magazine that the tunnel happens to be an ideal place for IRL (Indy Racing League) testing in a straight line in a wind tunnel, with total control over wind resistance and other environmental factors, using a full-sized racing car. The car zooms through the tunnel at a set speed and the wind forces are measured. This straight-line testing has been considered a key to success in the Indy Racing League since track testing was banned in 2004. The facility includes a 460 meter (1509-foot) acceleration zone, with a total length of 1384 meters (4,541 feet.) While the tunnel has provided a virtually ideal environment for testing, it hasn’t been without its snags: there have been several crashes. Learn more about the logistics and see drawings of the inside of the tunnel at Racecar Engineering Magazine.